Dear Sir, Fujian Yamei Industry Co., Ltd is a leading professional manufacturer and exporter in textile field in China, we'd love to develop a good business relationship with your prosperous copmpany. 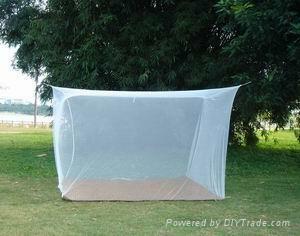 We manufacture and export all styles insecticide treated mosquito nets, and 100% polyester fabric cloth. We assure you the best quality which completely fits the requirement of WHO. Waiting for your friendly inquire. Treate : Nets can be washed up 21 times while treatment is still effective. Thanks for your attention to the above and look forward to building up the business relationship with your prosperous company soon.